It is not uncommon for a business owner to need the services provided by a locksmith at least once in their career. If you are locked out of your office, you won’t need to break a window to get inside. Also, you won’t need to cancel work for the day. To solve the problem as quickly and easily as possible, you can hire an experienced commercial locksmith. A locksmith can get you inside the office without weakening the security of your business. We can open the door to your industrial building or your office.  Our technicians at Direct Locksmith will do everything that they can to make sure that your office is not harmed while we are getting you inside. Most typical locks contain a pin and tumbler system. These types of locks can usually be picked by an experienced locksmith. Pin and tumbler locks are very common. They consist of a bible, which houses the springs as well as the driver pins. They also contain a plug. This is the part of the lock that will turn when the key is put into the lock. The key pins are the part of the lock that is touched by the key. Finally, the driver pins rest between the bible and the lock’s plug. 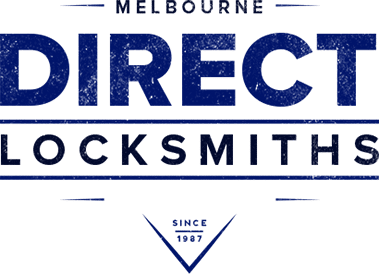 This may sound very complex to the layperson, however, our locksmiths at Direct Locksmith are experts when it comes to standard locks. In most cases, the driver pins and the springs will be the same height, however, the key pins are unique. The height of the key pins depends on the grooves of the key. When the key is placed in the plug, the key pins will elevate the driver pins evenly and the springs will compress. At this point, the driver pins are set on the shear line. This line is what separates the plug from the bible. When each of the driver pins has reached the shear line, the key can be turned and the lock will open. How Will a Locksmith Pick a Lock? The process of picking a lock is much different than using a key. Locksmiths use their knowledge of the driver pins. They understand that they need to be manually moved to the shear line. To do this, the locksmith will use a professional locksmith picking set. In most cases, a tension wrench would be used with one or two standard American size picks. When the locks are picked, the tension wrench would be placed on the opposite end of where the teeth of the key would go. These are the grooves that cause the key pins to move. There is no need for a locksmith to know which way the key turns. Our professionals are highly trained, therefore, they can use the tension wrench to determine which direction has more give. This will let them know which way the lock should be twisted. When the tension wrench is twisted in the right direction, the locksmith would rake the keyhole a few times by pulling the pick in and out of the lock. When the lock is raked, the driver pins will move properly. When the first pin is moved, the locksmith will start from the back pin and work their way through all of them. Most standard locks have 5 pins. When this process is complete, the tension wrench will turn the plug as if it were a key opening the door in slow motion. This makes it possible to open the door without harming the lock. If picking the pin and tumbler lock doesn’t work, the locksmith will use a bump key. Bump keys work like picks as they move the pins so that the driver pins line up with the shear line. During this process, grooves are made in a key blank. When the key is “bumped”, it will allow the plug to be turned temporarily. This tool acts like a key, therefore, it won’t cause any harm to the lock. If you don’t have a typical pin and tumbler lock such as a smart key or if your lock is unresponsive to picking or bumping, the lock would need to be drilled. The locksmith would set the drill to the location of the pins and a hole would be punctured inside the lock. The drill will break the pins that are holding the lock in place. This would allow the locksmith to open the door using a screwdriver. If your lock needs to be drilled, you should not try it yourself. It takes a great deal of knowledge and experience to drill the lock correctly. If you attempt it on your own, you can cause damage that would make the lock unworkable. Other than having a smart lock, a few other reasons that you would need to have your lock drilled. If the locksmith drilled past the pins and broke the bolt of the locks but the lock doesn’t open, there could be an accumulation of metal particles inside the lock. This will cause the pins to lock and jam so that they cannot reach the shear line. For the safety of your building, you should only allow a commercial locksmith to open the doors to your business. It is possible for the locks to break or fail. If this happens, the only way to keep the office safe is to replace the locks as quickly and efficiently as possible. The locksmith will remove the current lock and replace it with a new one. If the deadbolt needs to be replaced, the locksmith would unscrew the apparatus to disassemble it. If there is a doorknob lock, it can be more complicated. In cases like this, the locksmith will have special tools such as a spanner, a catching tool, and a plug follower. This tool is often referred to as a follower. The locksmith will use the catching tool to remove the knob or the handle from the lock. In order for this to work, the handle or know would need to be twisted until the hole in the knob rose can be seen. When the catching tool is in place in the hole it will release the catch. At this point, the knob and the rose can be separated. At this point, the rose and the rod that connects the lock on one side of the door to the other, also known as the spindle, can be removed from the door. The bolt guard would be unscrewed so that the bolt and be removed and replaced. When this task is complete, the holes can be adjusted depending on the difference between the new lock. When the lock is reassembled, the disassembly process would be repeated in reverse. The locksmith will pay special attention so that they can keep the fitting of the internal mechanisms. When the new lock has been installed, you will have peace of mind that your doors will lock and unlock as needed, keeping everything inside the building safe. Everyday locks get a lot of use. This is especially true with the locks found on office mailboxes and cabinets. Since you use these locks several times a day, they need to be in proper working order. The procedure to change a mailbox or cabinet lock is similar to that of changing a door lock with a few differences. The main difference between the two is in the mechanics of the lock. A typical door lock will retract the bolt to open. In most mailboxes and cabinets, the plug of the key is fixed to a bar that will rotate when the key is turned. The first thing that a locksmith will do when replacing the lock is to open the mailbox or cabinet. Fortunately, most offices have more than one key for the standard office mailbox that is held by a manager or another employee. If the lock is broken or if all of the keys are missing, it is still possible to open the mailbox or cabinet. In cases like this, there will be a pin on the lock that either faces up or to the side. This pin will often be removed by hand after unfastening a nut. This makes it possible to remove the lock from the hole. Next, a new lock would be inserted into the hole and a new pin would e placed to keep the lock secure. In some cases, the bar that is bolted to the lock will be too long to be slid in with the lock. This would require it to be unfastened. When the locksmith as the plug of the lock secured properly to the par and the pin, the lock can be used again. If you are a business owner and you are in need of a locksmith, there are a few things that you should know. Q: How long does it take for a locksmith to get out to my business? A: Depending on the location of your business, it can take a commercial locksmith about 30 to 45 minutes to get to the location. All of our locksmiths are mobile technicians. This means that they spend about 95 percent of the day on the road. When there are technicians on the road, they can get to your location faster. Q: Do I need to know what type of locks my business has? A: Our staff at Direct Locksmith are highly trained professionals. This means that they are able to access the locks on-site and they can let you know the type of service you will require. You don’t need to have any knowledge regarding your specific locks. If you have a history of the services that have been provided in the past it can be helpful, however, this type of knowledge is not necessary. Q: How long will it take for a locksmith to get my door open? A: Our locksmiths understand that you have work to do, therefore, they work very hard to get you in the door as quickly as possible. When the technician arrives at your business, they will assess the situation. Next, they will let you know what they need to do. 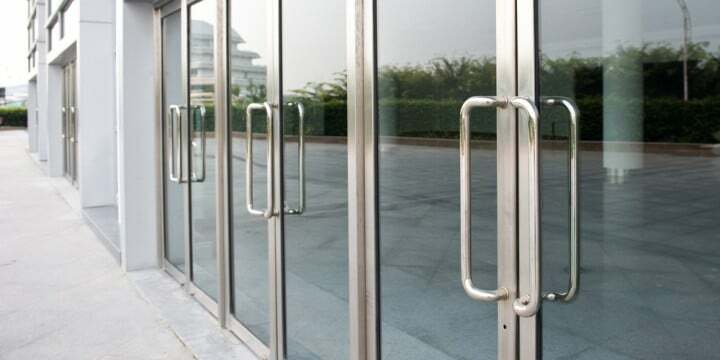 Typically, an office lockout will take around 25 to 30 minutes to handle, depending on the type of locks that you have and the method that the technician uses to get you inside. Q: Will the lock on my office door be damaged while the technician is trying to get inside? A: The most common door opening methods used, such as lockpicking or the use of a bump key won’t do any damage to the locks. After you get into the building, you will be able to lock the doors again. In extreme cases, the lock may need to be drilled which would require it to be replaced after. Fortunately, lock replacement is a very common service provided by our technicians. If it is necessary to replace the locks, it can be handled on the same day. 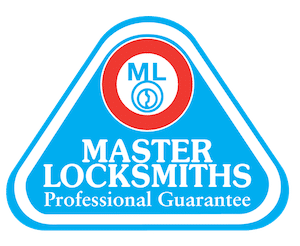 Q: How much does it cost to hire a professional locksmith? A: At Direct Locksmith, we offer a variety of commercial locksmith services. The amount that you would be charged would depend on the type of work that you need. There is standard call out fee which you will be quoted over the phone. For more information on our prices and the services that we offer, contact us today.